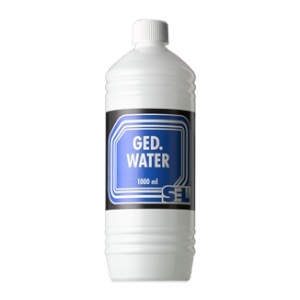 Bottle of 1 ltr deminarelised water as a complement to concentrated Record Cleaning Fluids. Normal water from the tap is full of minerals (like chalk) which can renain as a substitute on your records after cleaning. 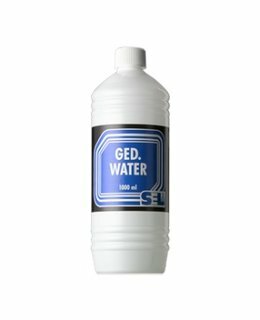 Dem water does not have these minerals (anymore). Don't drink it, it's meant for making solutions. This is a service article, we carry it for your convenience.